True to its brand, the Mercedes-Maybach S 650 represents the absolute pinnacle of automotive construction in the world. 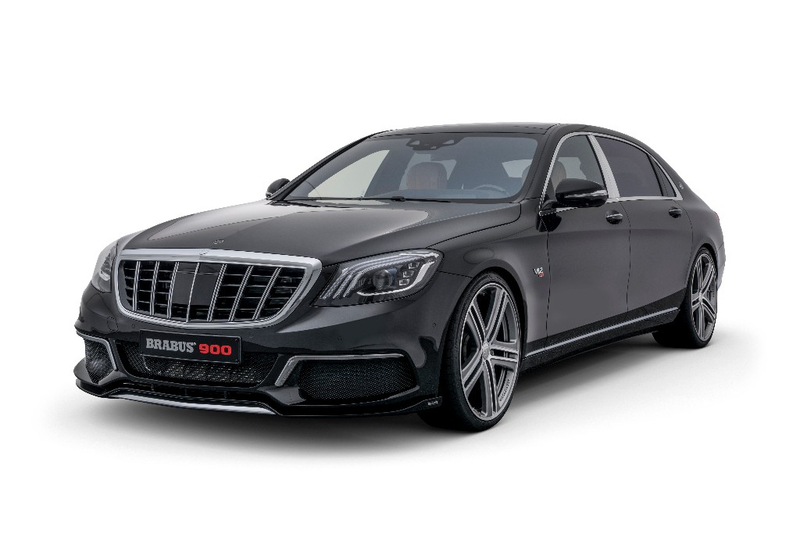 Nonetheless, even this luxury sedan leaves room for individual refinement, which BRABUS realizes with its best engineers, designers, technicians and craftsmen in the form of the unique BRABUS 900 luxury supercar. The BRABUS front bumper, which was newly developed for the face-lift model, replaces the production bumper in its entirety. It provides not only a visual upgrade, but thanks to the integrated front spoiler also reduces front axle lift at high speeds, further improving the handling stability. 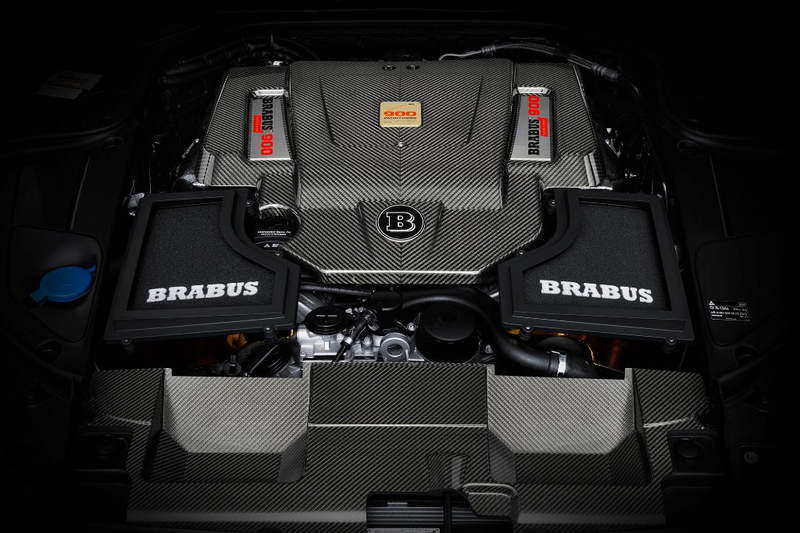 The large air intakes in the BRABUS bumper optimize the supply of fresh air to radiators, engine and front brakes. The BRABUS designers have incorporated the aerodynamic-enhancement components with a subtle chrome add-on package. To give the supercar an even more distinctive face in the characteristic style of the Maybach brand, the BRABUS designer developed a special radiator grille. All of the exterior components were developed in the wind tunnel for the current Maybach and are manufactured in OEM quality from PUR. An equally unusual and functional feature is the BRABUS courtesy welcome lighting, which is activated in the dark by pulling on an inside door handle or, if Keyless-Go mode is engaged, when the driver approaches the vehicle. The illumination of the ground to the left and right of the upgraded Maybach provides enhanced safety for getting in and out. The BRABUS rear bumper redefines the view from the rear. Its integrated diffuser features tailor-made cutouts for the four chrome-plated tailpipes of the BRABUS high-performance exhaust system. The exhaust has actively controlled exhaust flaps to allow the driver to control the exhaust note at the push of a button on the steering wheel. Drivers can choose between operating their luxury sedan in a subtle and quiet ‘Coming Home’ mode and enjoying a markedly powerful engine sound in the ‘Sport’ position. In order to make safe use of the tremendous performance of the tuned luxury sedan and to give the vehicle an even more dynamic visual touch, the BRABUS suspension engineers developed tailor-made wheels. BRABUS Monoblock F, R and Monoblock Y "PLATINUM EDITION" 21-inch forged wheels are available for the Maybach. The hi-tech wheels make full use of the available space under the wheel arches of the Maybach in sizes 9Jx21 at the front and 10.5x21 at the rear. 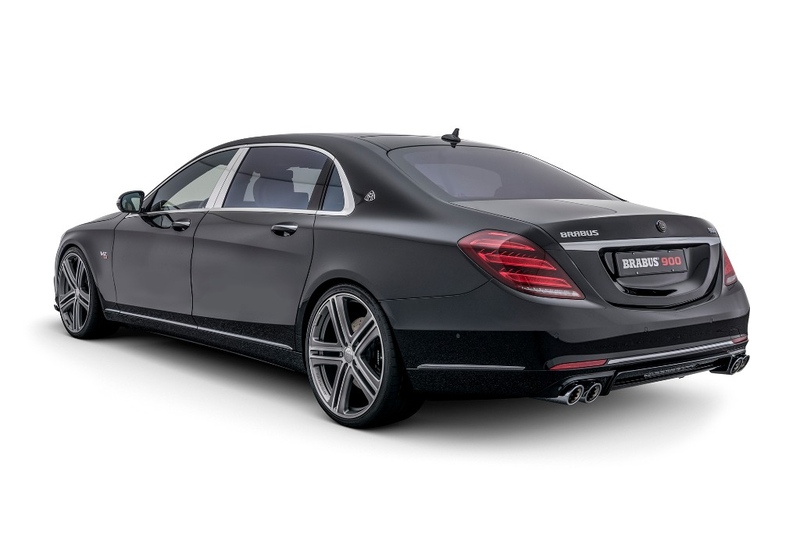 In addition, BRABUS also offers a 22-inch variant featuring the BRABUS Monoblock G design for the top-of-the-range S-Class and Maybach models. The standard Mercedes-Maybach S 650 comes off the factory line with a 12-cylinder twin-turbo engine producing 530hp and is thus anything but under-powered. The company high-tech engine shop employs the tried and proven principle of increasing the engine’s displacement. The installation of a custom BRABUS billet crankshaft with longer stroke in concert with a larger cylinder bore, matching forged pistons and precision-balanced conrods increases the displacement from 6.0 to 6.3 liters The two production turbos are replaced with turbochargers that have larger compressor units and larger turbines, which are adapted to the V12 engine with the help of special exhaust manifolds. After the conversion, the V12 engine, which is operated exclusively with hi-tech motor oil from MOTUL, has a peak output of 900 hp at a low 5,500 rpm and produces a gigantic peak torque of 1,106 lb-ft at 4,200 rpm. the Mercedes-Maybach S 650 delivers a performance usually only achieved by a few fullblooded super sports cars: Powered by the BRABUS ROCKET 900 6.3 V12 twin-turbo engine, the four-seater accelerates from 0-62 mph in just 3.7 seconds. The top speed is in excess of 217 mph. TAG 2019 Spring Sale is HERE!